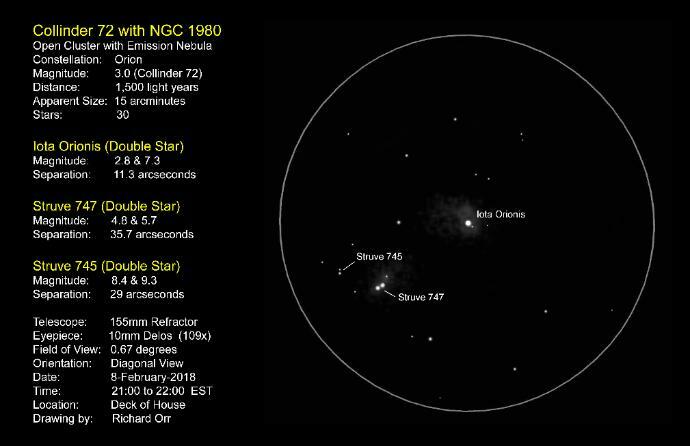 Open Cluster is, most star maps do not list Collinder 72, but do list NGC 1980 at this location. Nebula. 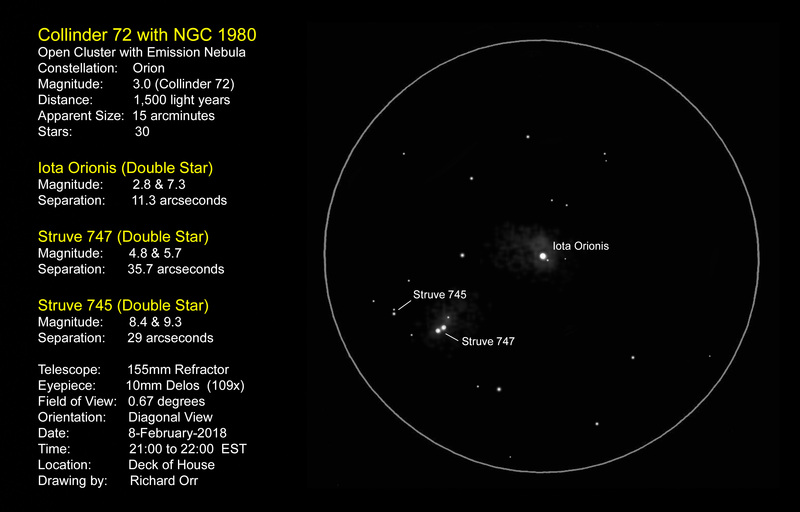 The cluster and nebula make an interesting pair well worth taking the time to view.